Postcard from The Bunker (2)…. After several months of not being able to blog because of a spine injury, I have returned to the sport of having a look at the human condition through a not always serious lens. I have managed to do 115,950 tweets. It is unlikely that I have advanced the cause of knowledge by doing this many tweets – but it has kept me off the streets causing alarm to the populace with my recent ‘dress sense’ (I wear red trousers occasionally these days)…. “Passing sentence on Friday, Judge Rebecca Poulet QC told them that while Islam was a peaceful religion, their conduct was “unfortunately anything but”. 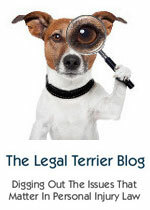 And now to a most interesting post from thelegalbratblawg : Time to re-set the legal profession? As one GC recently put it to me, “the re-set button has been pressed on the legal profession”. Whilst the button has certainly been pressed, the machine has not yet rebooted…. And on the subject of intolerance..
As staff, students, and alumni of Cambridge and Oxford Universities, we are calling on the Home Secretary to stop deportation proceedings against Trenton Oldfield for disrupting the Oxford-Cambridge Boat Race in April 2012. We neither believe that this action constituted an infraction serious enough to warrant such a heavy penalty, nor accept that it establishes that Mr Oldfield is ‘undesirable, has unacceptable associations and could be considered a threat to national security’. The Boat Race is a game; its disruption should not result in any individual’s deportation. Certainly its disruption should not be cause to separate an individual from his family, which includes a recently-born child. Lucy Reed at her Pink Tape blog writes with precision and clarity about the Essex C-Section case in the following blog posts. Human rights for lawyers at these firms…. anyone? I shall be back later…possibly. Need to eat a toasted chicken sandwich with hot Mango chutney from Patak’s (Three chillies mark on the label) …. haven’t had one since breakfast.